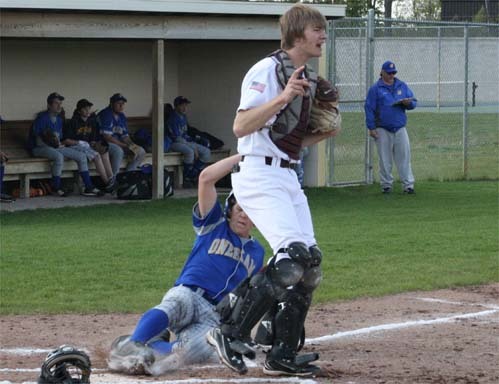 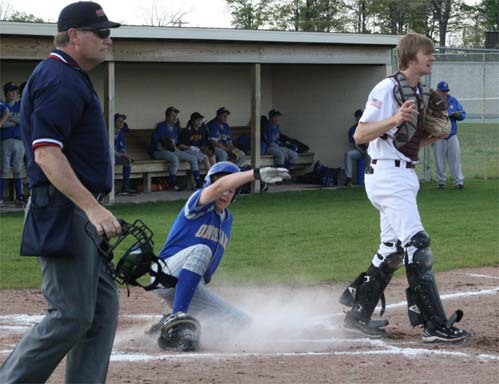 TRAVERSE CITY — The Onekama baseball team lost and tied in a doubleheader against Traverse City Christian on Tuesday. 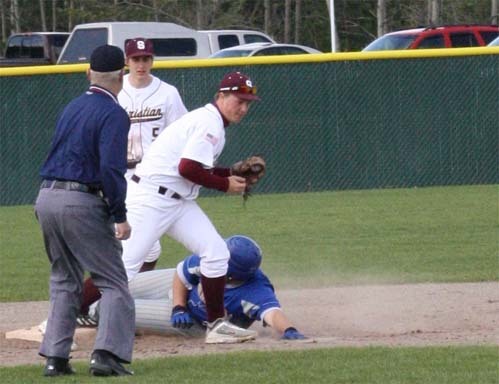 The Sabres won the opener 8-7 with a two-out, walk-off hit in the seventh inning before the second game was called due to darkness while tied at 5 through five innings. 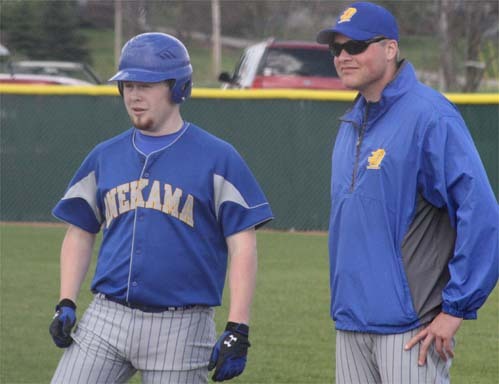 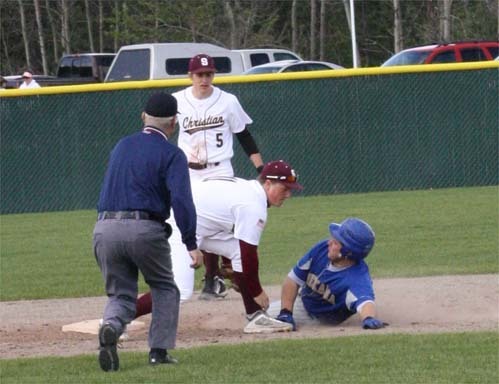 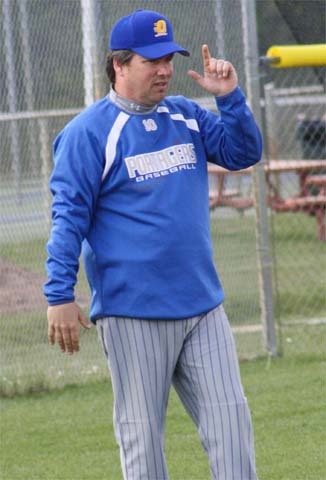 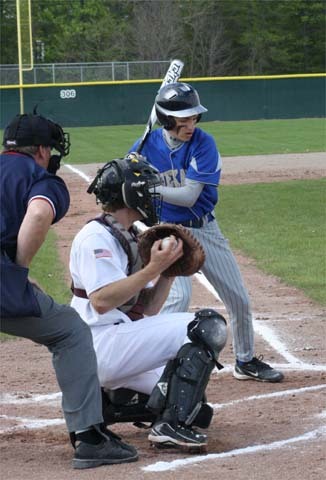 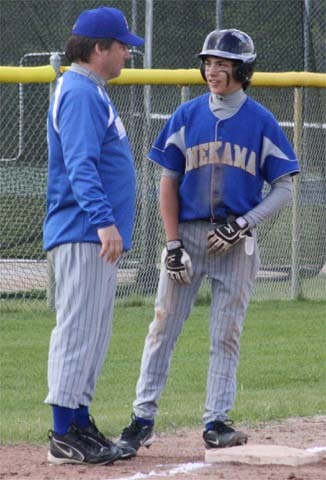 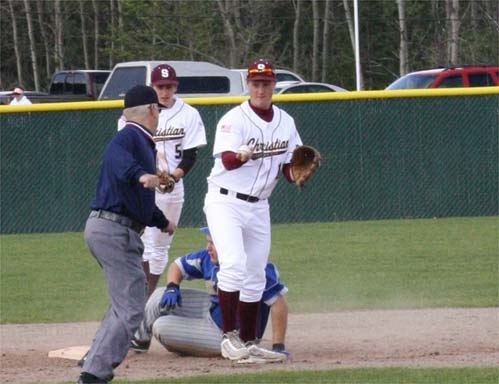 The two teams split a doubleheader on Friday at Onekama. 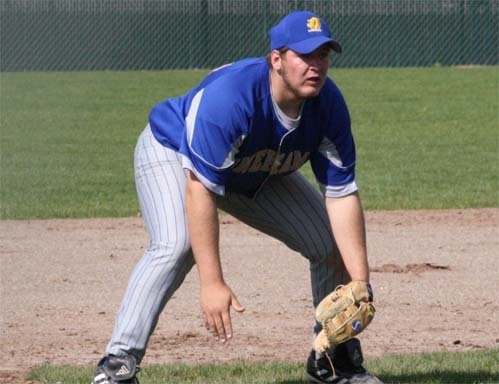 In Tuesday’s opener, Nolan Miller led the Portagers (4-9-2) with two hits, John Eno had a hit and scored three runs and Joe Eno and Dallas Hearit each had a hit. 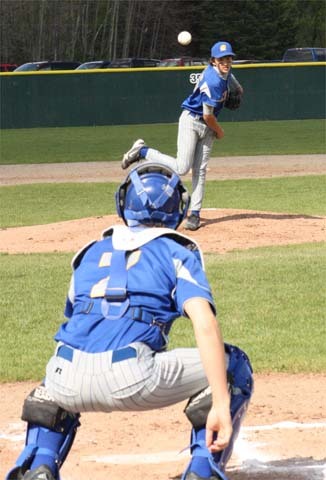 Miller pitched all five innings of the nightcap and also had a hit. 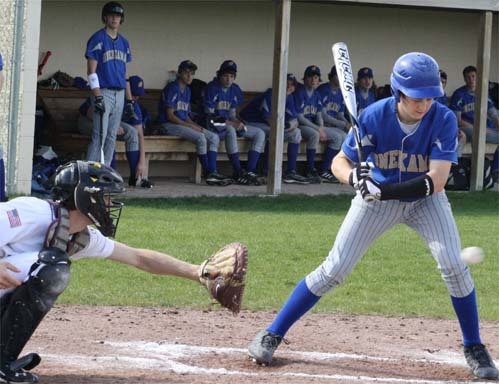 Joe Eno hit a three-run home run and Hearit and John Eno each had a hit.